Providing a comprehensive and contemporary overview of the status of this particular genus, this book will be of interest to all those concerned with the study and uses of spices, medicinal and aromatic plants. 1. 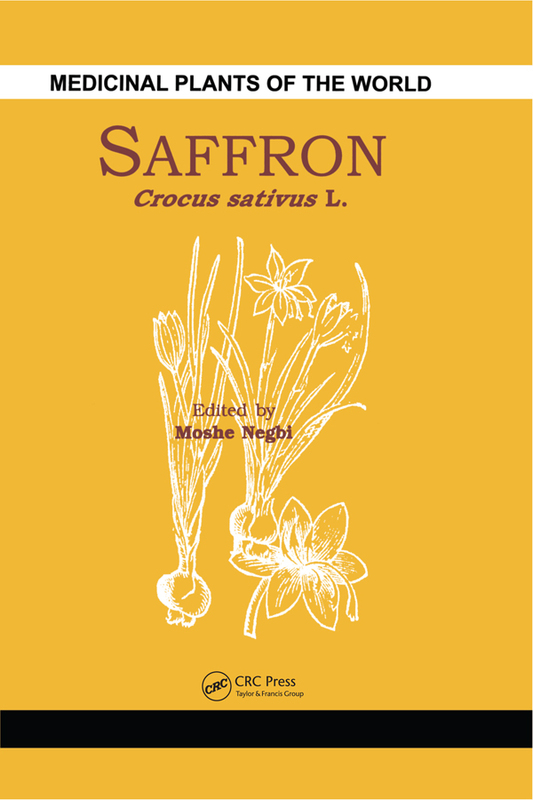 Saffron Cultivation: Past, Present and Future Prospects The Saffron Plant (Crocus sativus L.) and its Allies 2. Botany, Taxonomy and Cytology of Crocus sativus L. and its Allies 3. Reproduction Biology of Saffron and its Allies 4. Saffron Chemistry The Present State of Saffron Cultivation and Technology 5. Saffron (Crocus sativus L.) in Italy 6. Saffron Cultivation in Azerbaijan 7. Saffron Cultivation in Greece 8. Saffron Cultivation in Morocco 9. Saffron Technology Futuristic Aspects of Saffron Cultivation, Usage and Industry 10. Saffron in Biological and Medical Research 11. Mechanized Saffron Cultivation, Including Harvesting 12. Sterility and Perspectives for Genetic Improvement of Crocus sativus L. 13. In Vitro Propagation and Secondary Metabolite Production in Crocus sativus L.